Editor: John Williams, a former OBcean and part-time staff on the original OB Rag, is a good friend of some of us at the current OB Rag. Over a month ago, John moved to Saudi Arabia for a job teaching English. He just sent this to us, describing some of his initial observations of living in the Kingdom. 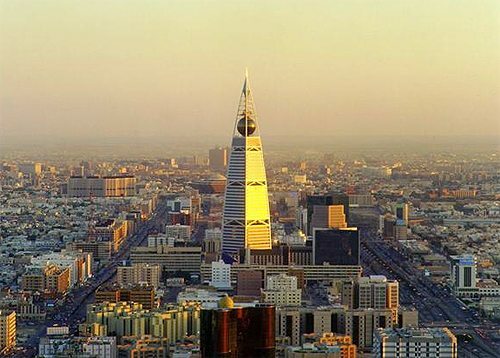 Having now been in Saudi Arabia for only thirty-eight days, I have had time to develop no more than a newcomer’s perspective on this significant Gulf Region country. This is my first experience in a kingdom other than Disney’s magic one. While I can hardly help but consider the political basis of this state to be archaic, I am able to recognize that it is but one of the many systems extant on the planet today, and I can also recognize that whether it is the best or worst system currently in existence or is the best system that possibly could be developed are issues I am neither prepared nor qualified to determine, though I could, if pressed, express an opinion thereon. If pressed, I would have to say it is unlikely that this system is the best possible system which could be created, but then to the limit of my understanding, no system is, and, further this one seems to work for its citizens. Saudis I meet spend no time complaining about their government, culture, or society. What I can say emphatically is that this system differs considerably in its precepts and socio-cultural expressions from those to which I, an American, am accustomed. Firstly, this is a religiously based society. Much of the social behavior is directly modulated on the basis of religious beliefs. While some parts of the U.S. are certianly socially very strongly influenced by religious ideology, none have broadcasts at regular intervals every day throughout every neighborhood via state erected loudspeakers. Prayer partitions daily life in Saudi Arabia into five parts and devout Muslims devote up to twenty minutes during each of these times to the act of praying. The first prayer call is at sunrise. The next is at 12:00 noon. The third at 3:00 p.m. The fourth at sunset. And the last is one and a half hours after sunset. During these times, all commmercial activity ceases. Businesses shutter their windows and lock their doors. Workers discontinue their employments. Shoppers may continue to wander through grocery stores or malls and make selections, but they can neither pay nor leave the store until prayer time concludes. I have not been in an operating room, but I suspect that that would be the only place other than a battle field where strict adherence to this practice could acceptably be ignored. Those who eat in restaurants must plan their meals around this schedule. More than once, I have been asked to finish up and pay at a restaurant as prayer call began. More than once, I have waited outside a restaurant until prayer is finished before I could enter. More than once, I have waited inside or outside a store until prayer time is finished. Now, I can say that not every person in Saudi Arabia is a Muslim. The workforce, especially those in what Americans would call the blue-collar (completely inappropriate appellation here – better to say those who are engaged in service jobs or manual labor) level are largely from India, Pakistan, Bangladesh, Afghanistan, the Philipines, and Nepal. Some of these workers are, of course, Muslims, but many are not. Those who are not Muslims are required, nonetheless, to observe the ritual interruptions of activity, as are all others, such as myself. I and they are not required, of course, to pray. Still, we must all observe the practice and wait until prayer time elapses. Whether, there are standard prayers (“Our father, who art …” and so on) or each supplicant creates his/her own individual prayer, I don’t know, but both men and women are expected to stop whatever activity it is in which they are engaged at prayer time and pray. I should add that though the loudspeakers announce prayer call, businesses close, and the schedule of classes at school is arranged to accommodate prayer time, not every Muslim strictly adheres to the practice. At school, many of the students can be seen lounging, sipping coffee, eating donuts and gabbing with friends during prayer time or standing outside the back of the school in the parking lot smoking, and this is accepted without incident. Frighteningly, however, there is even an official organization commonly known as the Religious Police (I think, actually this organization is called something like the Ministry for the Preservation of Morality – Orwellian images leak out of one subconscious) which roams the streets and reprimands those behaving inappropriately. The second exceedingly strange aspect of society in Saudi Arabia is that the visible society in all places to which I have access, is entirely male. As one leaves the hotel room it is possible that a female may be coming or going in the lobby (to whom I do not speak or in any way acknowledge) or riding the elevator (which I do not share), and all the employeees, those behind the desk, those bustling about cleaning or moving luggage in or out, are male. Out onto the street to hail a cab, not a single female to be seen either walking or driving. At a restaurant or at school, not a single female to be seen. In fact, one is more or less forced to take it on faith that there are any women here at all, because they are only identifiable on the basis of their clothing, that is their uniform, the burka, a head to toe black mumu-like drress which includes a nun-like head cover and adds an outlaw-like mask so that the only portion of the presumed female available to visual observation are two eyes and the bridge of the nose. Additionally, no images of women are used in outdoor or in-mall advertising, though they do appear in all the roles an American would see on television; fixing dinner for the family, using this detergent to do the laundry, buying this product because the husband and children will love it, and so on. Yet, every mall I’ve been in (there are no music based clubs, no cinemas, no dance based establishments, no opera – music is restricted to tamborines and drums at official state functions and weddings; the only singing is that of prayer call – and that “singing” is rated only on its religiousity, not its tonality or lyrical qualities, i.e. there isn’t much to do here) has many high-end clothing stores for women; not high-end burkas, high end cocktail dresses, social occasion dresses, dance dresses, party dresses. There are some locations where a male may encounter a female outside of a residence: in a mall or a bookstore, for example, but these women must be accompanied from home by an adult male member of the family. Another oddity of life in KSA, is that virtually every meal served in the school cafeteria or at an outlet in the mall food courts comes with a Pepsi Cola. I have seen only one Coca-Cola machine. I wonder who is connected to whom; how did Coke miss this opportunity? Another way in which KSA differs from the USA is that women are not allowed to drive. So, imagine the roadways in San Diego with only men at the wheel and add to that imagined setting the idea that the intermingling of men and women is severely restricted (there are no co-ed schools, there are no mixers, there are no high school football games or basketball games, there are no cheer leaders, there are no opportunities at all for young men and women to meet, no opportunities to socialize); consider the impact on young men. No women, but nature is still busily providing the hormones. Driving is often reckless, aggressive, crazy. Lanes are considered only suggestions. Order is just an idea. And pedestrians are wholly on their own. I really think I am no longer aggressive enough to drive in this sort of an environment. There is a common form of entertainment and thrill seeking among young men here known as “drifting.” It goes like this most of the time: A guy rents a car. He and his friends drive out to a known location (where Americans in small towns would drag race). The assembled “drifters” take turns racing down an asphalt or dirt road and begin turing the steering wheel while still driving as fast as possible. The car begins to slide. Often, it raises up onto three wheels. Rarely, the driver does a 360. The goal seems to be to fishtale as much as possible. Spectators line the road, sometimes quite close to the drifting lanes. There are many crashes; just the drifter (off the road into a ditch, rolling over, hitting poles and abbutments), the drifter plus one or more other cars, the drifter and pedestrians. Many minor and sometimes serious, sometimes fatal crashes. Some kids love it. What are the outcomes? So far, I don’t know. One would think the rental car companies wouldn’t be too thrilled, and that parents would be worried, upset, angry. Still, the practice is pretty wide spread and remains a part of the “underground” youth culture. Look for it on YouTube. Hey John Williams – congrats on your first post on the blog! This means your computer must have finally reached you in Riyadh. We miss your face at the poker games – actually haven’t had one in a few weeks. Let’s just say I’m not packing my bags any time soon. Take heart, John, and remember that us wild women are alive and well in OB! Please write more as soon as you can. You’ve provided fascinating insight into a Kingdom I have no earthly desire to visit (those Religious Police would bust me for sure), yet find myself riveted to the edge of my seat eagerly anticipating more of your observations. Well done! dtw, do these burkas come in any color besides black? I’ve love one in tie-dye. oops, no edit key … that last line should begin with ‘btw’ not ‘dtw’. I agree with Molly. Not that I’m a wild woman, but that I have no earthly desire to visit such a place. That being said, it fascinates me beyond belief! Thank you John for giving us all an obceans take on this interesting, if not frightening kingdom. I look forward to hearing and learning more. I guess the ol’ saying, “all pray and no play makes Jack a terrorist” has some deeper meaning now. That is an ol’ saying isn’t it? Jon, you mean “Sunshine” not Molly, right? HA! You’re right Frank. All those damn hippie avatars look alike! lol. it’s okay, jon. not all of us photograph as well as you do. As for more coffee, I hear that! I fire up my 60-cup commercial coffee maker regularly for my little oasis of neighbors. Bring your own mug (and creamer) and come on by for a cup someday. No promises as to what time it’ll be ready…I’m not a time-oriented kind of wild woman. Jon, yeah, sure, they both have peace-signs in their avatar! Other than the fact that a weekend excursion here in SD would include nearly as many women spectators and participants, the “drifting” sounds pretty mundane. How odd the details that divulge our common humanity. We’ll survive our driving “Insha’Allah”. Sounds like Hwy 67 or is it 76?